Blog - How to Use Instagram Story Polls … Because They’re a THING Now! How to Use Instagram Story Polls … Because They’re a THING Now! Another week, another new social media feature. This week brings us Instagram Story Polls, a nifty little Instagram story sticker you can superimpose over any photo or video that will poll your followers. A quick little add-on like this presents itself as a fun feature for casual Instagrammers, while has the potential to be a powerful tool for brands and marketers alike. These interactive polls allow your followers to leave you immediate feedback while providing you real-time results for your most burning questions (you know, like which shoes you should wear with that belt). Voters should be careful though – the results are not anonymous! Creating a poll is pretty easy, especially if you’re already familiar with Instagram Stories. Simply take a photo or a video for your story, click the “sticker” icon in the upper right-hand corner, then choose “poll.” The poll sticker will plop itself on your photo, allowing you to add your question and customize the poll choices (you’re only given the ability to add two choices). Once you’ve shared this new photo or video to your story, your followers have the immediate ability to respond to your poll. Your followers who have voted are then able to see real-time voting results (shown as percentages) on your content, while you can see the insights for which followers voted for which choice. To get these results, simply swipe up on your story the same way you would to see which users viewed it. In our experiments with Instagram Story Polls, we noticed that the font color for the poll defaults to white – and there’s no way to change it. If you have a lighter colored photo, this is annoying. A simple workaround would be to use the crayon tool to color in the area behind your poll text, allowing the font to pop more on your image or video content. When announcing the polls feature, Instagram boasted “not only will you see how many votes each option received, but you’ll also see who voted and what option they chose. That way, you’ll be able to compare votes from the friends and followers whose opinions you trust most.” While we think this is great – if you’re using this feature for your personal Instagram, you may want to avoid asking questions you don’t want to know the answer to. If you’re using Instagram for your brand, this news is probably music to your ears. Polling followers through social media is far from a new concept, both Facebook and Twitter have had polls for a number of years. By having this feature in Instagram, brands are given the ability to gather additional user data from a younger demographic in a visual, fun, and more meaningful way. Gain better insights – Polls will let you gain better Instagram insights from your followers like never before. Run an ice cream shop? Give your followers a mouth-watering visual with a couple choices of what featured flavors will be available in the upcoming week. Not only will you know which flavor to choose to drive more foot traffic to your store, you can base future flavors around your follower’s preferences. Plus, reminding them of how good your ice cream looks will make them crave it. Get instant product feedback – If you’re a fashion designer, for example, a simple poll like “Would you wear this? Yes/No” can give you instantaneous results as to whether or not your next product release is going to miss the mark. 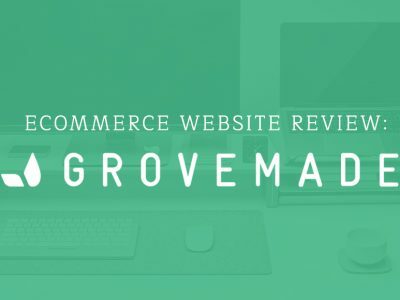 Generate additional content – Surprise! Not only does the poll itself create fun, interactive content – but so do the poll results. By polling your audience, you’ll have additional secondary content to post later once you get all the results. It will also give users a reason to come back to view future stories, and will show them you value their opinions. Create polls for live events or happenings – If you’re creating stories that are being posted from a real-time event, polls can be a great way of getting your users involved – whether they can be in attendance or not. You can come up with creative ways to use polls that will get users interested in showing up to your event before it ends, or make them feel like they are part of the action even though they can’t be there. 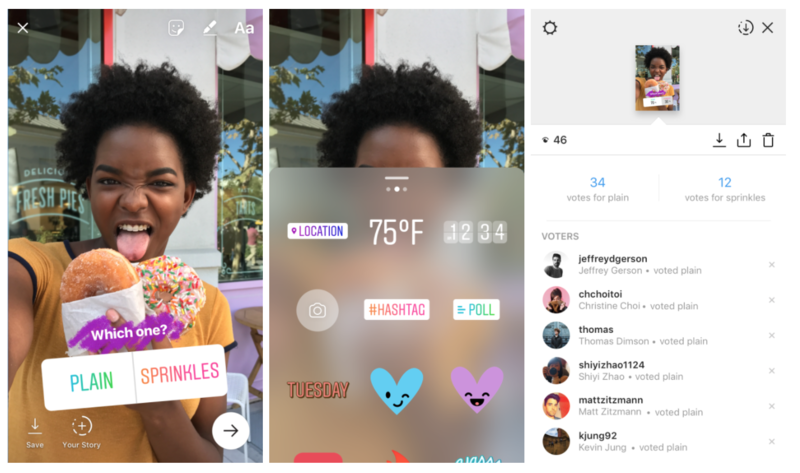 Whether you think Instagram Story Polls will be beneficial to your marketing plan or not, it’s always fun to test out these new features from either your brand or personal accounts. In our own experiment, of the 41 views our Instagram Story Poll received, only 5 followers decided to respond to our poll. This could simply be because followers weren’t interested in our question (“Will you use Instagram Story Polls? Yes/No”), or it could be that the feature is so new (and has pretty much flown under the radar since it’s release), Instagram users are still unsure of what it is. Either way, keep in mind poll results disappear when your stories disappear. Be sure to check your poll results before the 24-hour expiration period or that valuable data will be gone forever. We’re looking forward to seeing this feature be put to good use! 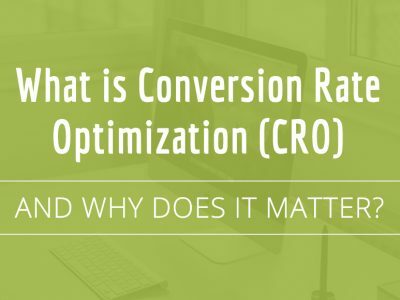 Previous Post (p) What is Conversion Rate Optimization (CRO), and Why Does it Matter?